Are you still on the lookout for the best case prep center? Gone are the days when you had to rely on sticks and rocks to reload. 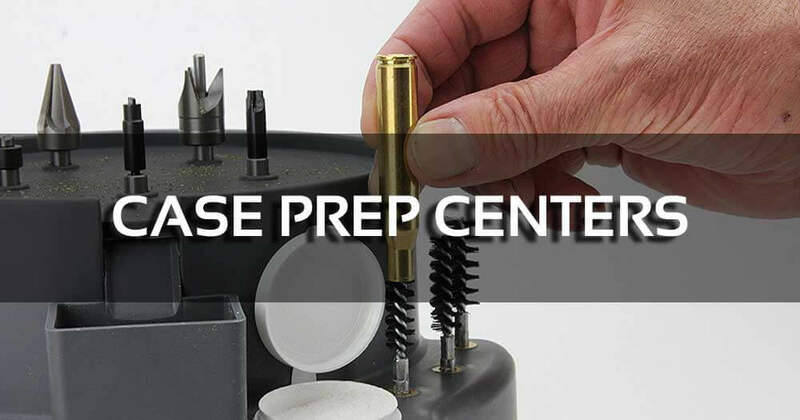 Armed with the right prep center you’ll find it easier to prepare brass. I have spent hundreds of hours using these devices so I can tell if it’s worth trying or not. I then used my experience to pick out these 5 products so you don’t have to sift through the various reviews. If you have never tried a case prep center before, this guide can help you sort out the various options available right now. 3 What is the Best Case Prep Center? Case prep center reviews have given the RCBS positive feedback and I have to agree. It’s built from quality materials and designed for all-around use. The RCBS comes with large and compact primer pocket brushes and a dry case neck lube. With its small and medium case neck brushes you’ll be able to do a lot of trimming and brass preparation. Deburring and chamfering tools are included for your convenience. There are also a couple of stationary positions for the case brushes for easy access. 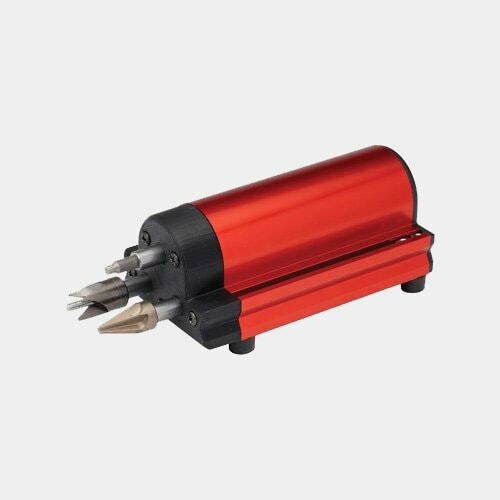 The RCBS allows you to trim and case prep at the same time and its rotating heads are gear propelled for optimum results. You can use the RCBS to trim cases at varying lengths, and it doesn’t make rattling noises the way other case prep centers do. 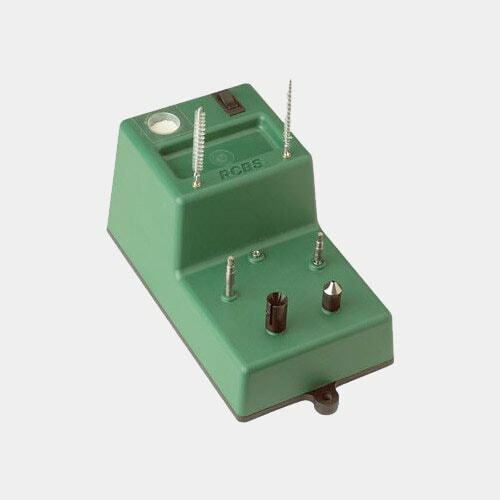 The RCBS works fine as is, but there are accessories that extend its functionality. It works on .50 Beowulf cases and various types of military shells. This case prep center really shines if you have lots of brass that you need to convert. 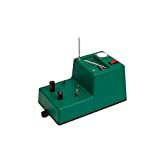 This little green box is a do it all, ideal for deburring, trimming and cleaning. For all purpose brass preparation the RCBS gets it done. This Lyman case prep center review can attest this is one of the most versatile in its class. Equipped with essential tools, the Xpress takes the misery out of case prepping. Its outside deburring and chamfer tools are designed for removing extra brass from cases. 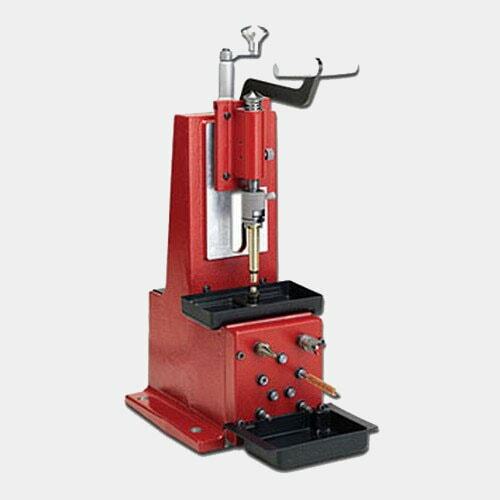 Compatible with .17 and .45 calibers, the deburring produces a smooth surface. The Lyman Primer Pocket Cleaner is used to remove primer pocket fouling. The Lyman Pocket Reamers on the other hand, are more suited for getting rid of primer pocket metal edges and military crimps. The Primer Pocket Uniformer is a tool that enables reloaders to set primer depth, leading to greater accuracy and precision. For SAMMI specs the tool has a pre-set stop collar suited for it. The Lyman also has a reamer / VLD chamfer that gets rid of bullet damage brought about by a cartridge’s sharp edge. Chamfering with a regular 45 degree reamer, it cuts the VLD bullet long tail. The VLD reamer has a 22 degree angle so bullets easily slip in. The Prep Xpress lives up to its name, allowing you to perform multiple tasks at the same time. It’s got the tools you need while still being easy to use. This Hornady case prep center review can say this lives up to the billing as an all-around tool. Made from high quality aluminum, the case prep center is designed for years of use. The Prep Trio is equipped with a low speed, high torque motor that allows you to work with precision. The Lock n Load Trio comes with storage if you want to add more accessories like pocket reamers, pocket cleaners and other accessories. With its 3 tool capacity, you can accelerate the case prepping procedure. The 3 stations allow you to clean, deburr and chamfer pockets without having to replace tools. The unit comes with deburr and the inside / outside chamfer tools. The Lock n Load works on different types of guns, and the outside chamfer tool can handle long rifles. The Lock n Load Trio is particularly good for accelerating boring, brass deburring and other projects. 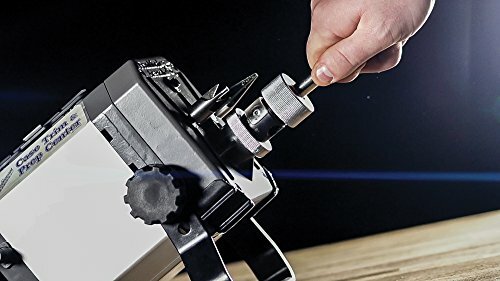 The Lock n Load Trio spins slowly, but that’s ideal for brass prepping and breaking trimmed sharp edges, removing crimps and other related tasks. The Lock n Load Trio is a nice case prep center, easy to use and built to last. It’s one of the most affordable in the market and easy to accessorize too. This reloading case prep center review can say that it really works and delivers superior performance. For trimming brass quickly the Arsenal lives up to my expectations. The Arsenal tool comes with 3 output shafts, and they are all compatible with accessories that have 8-32 threads. 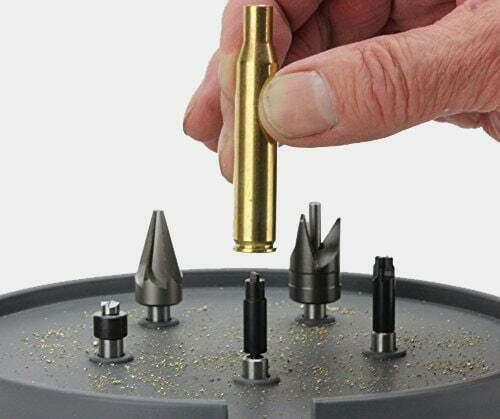 There is also a VLD Inside Chamfering Tool to avoid damaging bullets and make loading easier. This is one of the more powerful features of the Arsenal and is easy to use. The Arsenal also comes with large and small primer pocket cleaning tools for your convenience. It also has a storage box built in where you can store tools, bushings and collects when you’re not using them. The Arsenal cuts brass to the specific length you want, and the aluminum and steel construction makes it extra durable. Its cutting tools are very sharp and good for several rounds. Chamfering and trimming are easy to do on the Arsenal since Shell Holders are not needed. Apart from the cutting tools you can also utilize 3 tools simultaneously for increased productivity. The Frankford Arsenal is easy to adjust and there is plenty of room for tweaking. The case is is well-designed and it’s a real time saver. The Lock n Load makes a good case for being the best case prep station today. It’s larger than the typical case prep center, but it’s solidly built and has a high degree of versatility. The Lock n Load comes with a micro adjustable trimmer. You can set it to. .001” for more consistent and accurate trimming. The Lock n Load has a powerful motor that allows it to perform heavy duty work. It is encased in durable housing for greater durability. The Lock n Load allows you to organize the deburr, chamfer and other tools on the panel. Once they’re set up, the grip handle makes it easy to hold the Lock n Load for comfort and leverage. This Hornady product is also notable for its removable trays. You can take the trays out and it provides sufficient space for shavings. The Lock n Load does a good job of keeping the shavings outside the case and directing the them in the trays. This case prep center comes with 1, 2, 5, 16 and 35 Shell Holders and 6 neck brushes. The Lock n Load is one of the few – if not the only one – that has an integrated case trimmer. Add the other tools and you have a very capable case prep center that handles brass prepping easily. What is the Best Case Prep Center? Case prep station reviews will all say they’re the best, but we know that is not the case. The fact is people have different needs so you have to factor in your requirements instead of just the flashy ads. Of course, you also have to consider your long-term needs as well. If you want to get the most out of your case prep center, pay close attention to its specs and if it can do what you need. You also have to look at the brand’s reputation, warranty and the customer support. Tools and attachments: look for case prep centers with deburr and chamfer tools, neck brushes and pocket cleaners. The more attachments included in the product the better. Don’t go overboard with the accessories and tools. If you only use a few tools then there’s no need to buy a case prep center with tools you’re not going to use. Size and weight: the larger the case prep center the more powerful it is. However, that also means it’s heavier so you need to strike a balance here. Ease of use: you need that brass done now right? So get a case prep center that has a light learning curve. Adjustability: the trimmer must be adjustable to do precision work. The best ones can be adjusted to minute measurements. Capacity: some case prep centers are built for heavy-duty reloading, while others are for light applications. Choose the one that fits your current and future requirements. Grip and handling: you’ll want a comfortable handle for leverage and accuracy. Versatility: can the case prep center multitask? Can it chamfer, deburr, trim and do other tasks simultaneously? Expansion capability: how many types of attachments can you use with the case prep center? Compatibility comes into play if you’re a heavy user. Power: having all the accessories in the world won’t matter if the device lacks power. A motor with high torque is preferable. Maintenance: a good case prep center should not be difficult to clean up, It should also have a mechanism to manage metal shavings. Convenience: a well-made case prep center speeds up brass preparation and makes things easy. You also need to look at the brands, the quality, and their reputation. These are the major factors to consider if you’re looking for an effective case prep center. There are other things that come into play, but the ones above are the most critical. Lyman: Lyman has carved out a name for itself by creating high-quality case prep centers. Their case prep centers are powerful, versatile and come with several tools for brass preparation. RCBS: RCBS staked its claim by using only high-quality materials for their products. Their case prep centers are also versatile and can be used for an assortment of brass prepping projects. Hornady: the brand is widely recognized for their powerful case prep centers. These are equipped with various tools for chamfering and deburring and primer pocket cleaning. Frankford: their case prep centers are noted for their convenience and adjustability. Their case prep centers are also known for their durable cutters and wide range of accessories. I can name other brands, but these four are the cream of the crop when it comes to performance and reliability. The process will vary depending on the model you’re using. The following applies to the Hornady Lock N Load. Secure the Lock and Load onto your reloading bench. Make sure the cases have been neck or full length sized. Make certain the power setting is properly set. Put a pilot that’s caliber-specific in the cutter. Use a hex wrench to tighten it. Loosen the adjusting knob at the back a little. Set the main adjust handle counterclockwise. Put a case in the Shell Holder and turn until it’s locked. The Shell Holder needs to face front. If it isn’t, pull the handle half an inch and remove the Position Screw. Turn the Spindle Top in a clockwise manner so the slot is facing the Lock n Load. Put the Position Screw at the lower or upper hole. Rotate the Shell Holder Retainer one time clockwise. Pull the plunger out. Place the plunger in the Shell Holder center hole. Make certain the O ring is between the Shell Holder and plunger. Replace the Shell Holder and the plunger. Fasten the Shell Holder retainer, screwing it one turn. Put a case in the Shell Holder in the retainer. Turn on the Cam Lock until the Plunger is against the base of the Shell Holder. Put a case in the Shell Holder and rotate the Cam Lock. This locks in the Shell Holder. Turn the adjustment knob by half. Rotate the main adjustment handle counterclockwise. Fasten the adjustment knob and set the T handle down until the trimmer cutter and case mouth makes contact. Loosen the main adjustment knob and set the micro adjust handle counter or clockwise until the trimmer cutter and case mouth barely touch. Keeping the case in the Shell Holder, lower the T handle until it is on the spindle support. Raise it, turn off the motor and take the case out. Repeat these steps until you reach the trim length you want. Having a case prep center really makes a difference when it comes to brass prepping and there’s really no excuse not to get one. Now while all of these are well made the best is clearly the Hornady Lock n Load Power Case Prep Center. I won’t go over those features again as I’ve detailed them in the review already. The fact is the unit is versatile, durable and powerful, with all the features you’d expect from the best case prep center.